No one wanted to do school work today; however, it had to be done! We did Bible and writing first. Math was the worst! For some of DD11’s school work, she is supposed to be working at a board hanging on the wall to force her to use her arm muscles. Most of her problems were done one-by-one on the board. It seemed to take forever, but once she was ready to do the rest of her problems in her book, I took DS7 out to the living room to read his history. The subject for today was the Native American groups that were here when Columbus discovered the New World. When discussing that the groups had their own games that they played, DS7 looked at me in confusion. He couldn’t comprehend what types of games that they would play. I then asked him what kind of park they might have. He still looked a little confused. 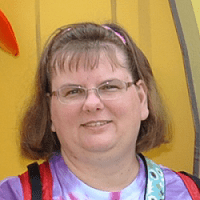 It is so hard to get kids to understand life without roller coasters and other theme park attractions. It was when I asked him what he thought if we crossed the Flintstones park with Disneyland that the light bulb appeared. 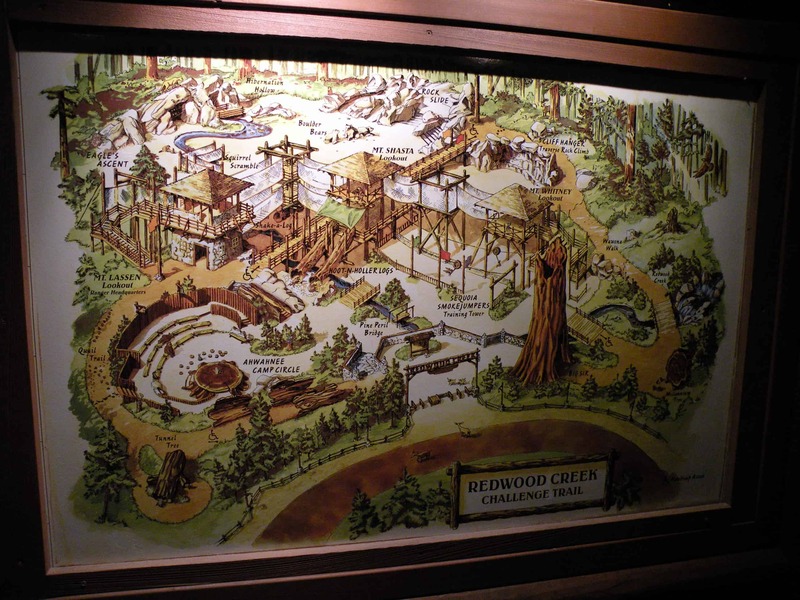 He immediately started to make plans for a theme park based on the Redwood Creek Challenge Trail at Disney California Adventure. He set this park in the bottom of a canyon with a Grizzly River Run type ride down the river. He set up a rock climbing wall on the canyon face with a slide at the bottom. He then put the Silly Symphony Swings on the trees on the canyon floor. He finally understood that the groups didn’t have to have technology to play games. They could make games out of the things that they had. Isn’t it wonderful that people like Walt Disney had the foresight to build such wonderful things that we can use to stimulate our imaginations?